Saudi journalist Jamal Khashoggi had a long, complicated career before he went missing in early October after entering the Saudi consulate in Istanbul. Khashoggi went from interviewing Osama bin Laden in the 1980s to becoming one of the most prominent journalists in his country to living in self-imposed exile. Some on the right in the US have attempted to portray Khashoggi as an extremist due to his interview with Osama bin Laden and ties to the Muslim Brotherhood. There’s no strong evidence Khashoggi was sympathetic to terrorism. Saudi journalist Jamal Khashoggi had a long, complicated career before he went missing in early October. Khashoggi, who was a US resident and wrote for The Washington Post, disappeared on October 2 after entering the Saudi consulate in Istanbul to obtain documents to marry his fiance. He is now feared dead. Based on the nature of his disappearance and claims from Turkish officials, it’s widely believed that Khashoggi was killed in the consulate by his own government. Turkish officials say his body was dismembered and flown back to Saudi Arabia. His case has put an uncomfortable spotlight on the Saudi royal family. It has also placed President Donald Trump in a precarious position regarding the US government’s close ties to the Saudi kingdom. 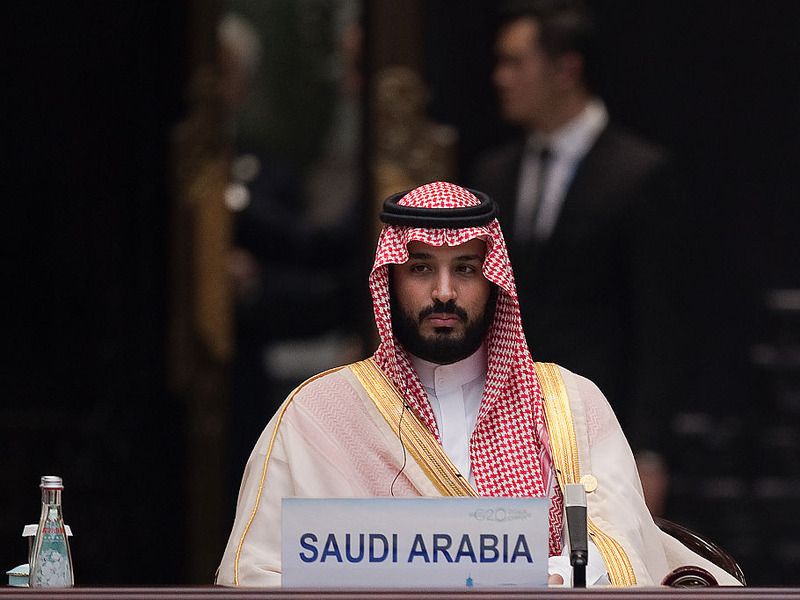 Saudi Arabia has vehemently denied any involvement in Khashoggi’s disappearance and claimed he left the consulate, though it has provided no evidence to back up this assertion. Prior to his disappearance, Khashoggi had been writing op-eds for The Washington Post and was living in Virginia. He was in self-imposed exile and was often critical of the Saudi government his writing, but it wasn’t always this way. 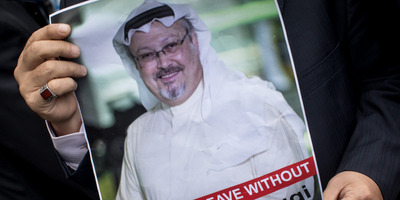 Khashoggi studied at Indiana State University and after graduating returned to Saudi Arabia to work for an English-language newspaper. This was in the early 1980s, when the mujahideen were waging jihad against the Soviet Union in Afghanistan with the support of the CIA. Khashoggi was reportedly strongly on the side of those fighting against the Soviets. A young Osama bin Laden, who was among the US-backed militants fighting the Soviets, invited Khashoggi to Afghanistan to do an interview. Khashoggi enthusiastically accepted. Khashoggi was hardly unique in terms of his general sympathies for the mujahideen at the time, even if he controversially posed for a photo with an assault rife in his hands (there’s no evidence he actually fought in any capacity). “He was there as a journalist first and foremost, admittedly as someone sympathetic to the Afghan jihad, but so were most Arab journalists at the time – and many Western journalists,” Thomas Hegghammer, who interviewed Khashoggi about his time in Afghanistan, told The New York Times. Some on the right have suggested that the narrative surrounding Khashoggi as a defender of democracy and freedom of expression is overblown, and have pushed a conspiracy theory that the story surrounding his disappearance is meant to damage US-Saudi relations and help Iran. Kashoggi seemed quite disturbed by bin Laden’s embrace of terrorism over the course of the 1990s that led up to the 9/11 terrorist attacks. Not long after 9/11, Khashoggi wrote, “Osama bin Laden’s hijacked planes not only attacked New York and Washington, they also attacked Islam as a faith and the values of tolerance and coexistence that it preaches.” He was also critical of conspiracy theories emanating from within the Saudi kingdom about the attacks, which were aimed at downplaying the fact that 15 of the 19 hijackers were from Saudi Arabia. When bin Laden was killed by the US in 2011, Khashoggi lamented bin Laden’s transition from fighting for what he felt was a just cause against the Soviets to embracing “hatred” in the years that followed. Khashoggi’s time in Afghanistan and subsequent coverage as a foreign correspondent launched him into an accomplished career as a journalist and editor in Saudi Arabia. The media in Saudi Arabia is closely controlled by the Saudi royal family, so as he climbed the ladder of the country’s media world, he became closer with its ruling class. As he rose in prominence, Khashoggi served as a royal adviser, and at times travelled with King Abdullah. Due to a close relationship he had with Prince Turki al-Faisal, the Saudi intelligence chief, it’s rumoured that Khashoggi also worked as a Saudi spy. 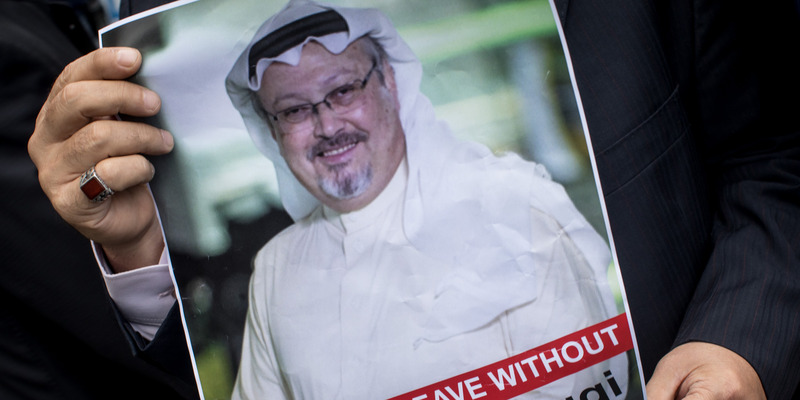 Khashoggi was a vocal supporter of democracy, and he was troubled when Saudi Arabia worked against uprisings in the Arab world during the Arab Spring. But he maintained a strong relationship with the royal family, even as he was often critical of it. Khashoggi did find himself out of a job on more than one occasion for his outspoken tendencies, but he was often rehired. Things began to change for Khashoggi in 2015 when King Salman rose to power and gave an inordinate amount of influence to his son, Mohammed, who would eventually be named crown prince and heir to the throne in 2017. Nicolas Asfouri – Pool/Getty ImagesCrown Prince Mohammed bin Salman attends the G20 opening ceremony at the Hangzhou International Expo Center on September 4, 2016 in Hangzhou, China. World leaders are gathering for the 11th G20 Summit from September 4-5. In June 2017, Khashoggi left Saudi Arabia amid Crown Prince Mohammed bin Salman’s efforts to consolidate power, which involved the arrest of fellow princes and prominent businessmen. Some of Khashoggi’s friends were arrested. Six months before his departure, the royal family banned Khashoggi from writing after he was critical of President Donald Trump and the Saudi government’s apparent trust in the US leader, which seemed to be the final straw for him. Khashoggi said he decided to leave Saudi Arabia because he began to fear for his safety.